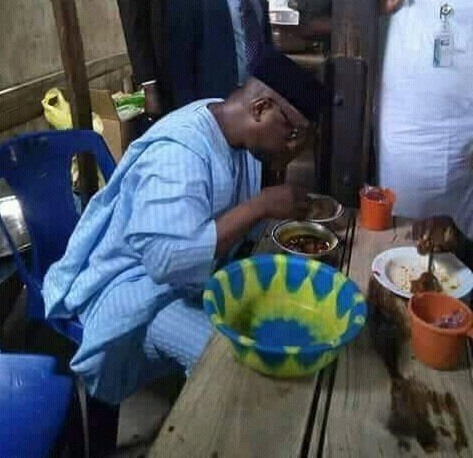 Niger State Governor, Abubakar Sani Bello was spotted having lunch at a local restaurant in the state capital. This is coming few days after Hon Patrick Obiahiangbon was spotted eating a loaf of bread by the road side in Edo state. 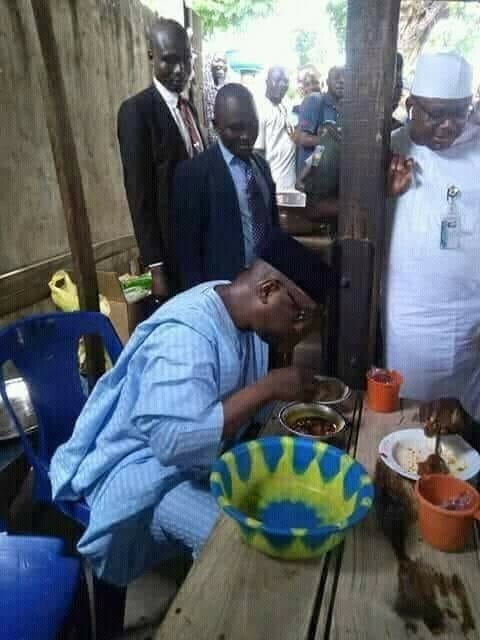 0 Response to "Governor Of Niger State, Abubakar Sani Bello Spotted Having Lunch At Mamaput Joint In Minna"